Denise Powell, Founding Editor at The Voices Project, contacted me today to confirm that my short poem 'Prospector' had been published. 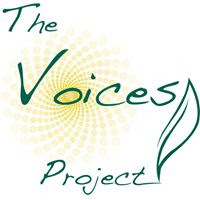 "The Voices Project is a non-judgmental venue for women, and also men, to express their personal stories and observations through poetry to promote social change. We publish the work of writers in the United States and international community no matter what their age or background, who might not otherwise have opportunities to share their stories. The hope is to bring the voices of these individuals forward, providing a creative pathway leading to growth and empowerment, and in turn affecting everything within their lives. Although our main focus is on women's literature, we do publish (and celebrate!) the voices of men, as it's important we are all a part of the conversation and mission."